This is my first day on Jake though I had a normal breakfast but lunch and dinner was Jake... And so far I'm sitting home feeling really nauseous with a headache and just generally sick down to my stomach. I had to cancel my CrossFit session which I'm really annoyed about. So far I am very unhappy with Jake and I'm not sure if I really want to give it a go tomorrow. I am still waiting for my first shipment of Jake. However, I have read enough about it to know that you should start slowly. Do not substitute your regular meals all at once. 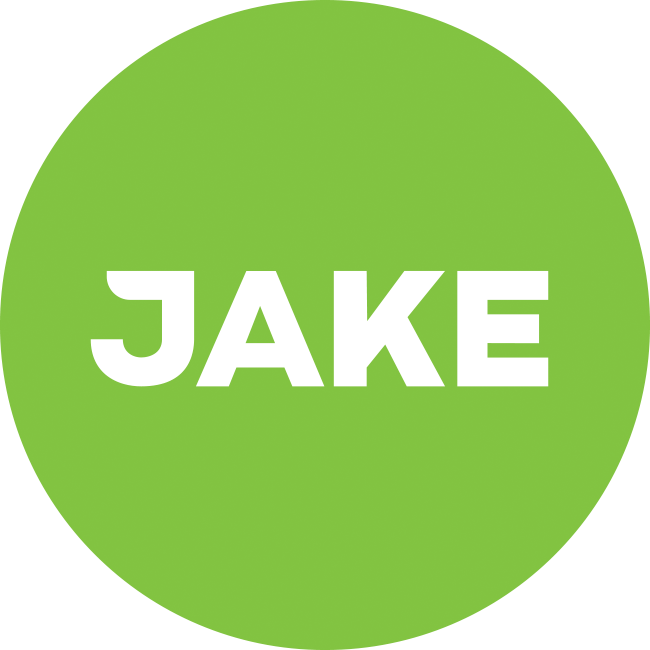 Try using Jake once per day for a week and see how it goes, but try to eat 2 regular meals per day as well. Hope you will be well, please keep us updated. I have been using Jake Original for a month now with 1-2 Jakes per day and I haven't encountered any bad effects such as headache or stomachache. Not sure what happened to you, but as already mentioned the good thing is to start slowly as your body has to adjust to Jake. So maybe one Jake every two days or something. By the way, what Jake were you using? I started with the Jake original. The weird thing is that I started on Wednesday and everything was fine. Then yesterday it just went mad. Don't know if my body just said No to being healthy or what heh. Hi @Robert_Gebczynski, I'm sorry to hear you've had a bad experience like that. Of course, headaches and stomach aches have many possible causes, but whenever they happen after you've introduced something new into your diet, that likely seems to be the cause. The best advice I can give you is to start slowly like @n3ziniuka5 points out. Your body has been processing the same foods for years and years, to which your gut microbiome has adapted. Your body has never processed Jake before. Have a Jake in a couple of days and see how you feel. Then gradually build up if you're feeling good. Another tip is to drink plenty of water. Although having Jake feels like drinking, it really is a meal. Take some time and make sure you drink enough water on the side. Dehydration is one of the major causes of headache. Lastly, do you have any food allergies or intolerances that you're aware of? I have a thyroid problem and I am taking supplements for that, and also I do have a bit of gluten intolerance so I avoid bread and pasta. But, beyond that I don't have any other problems. I know Jake is oat based in some percentage and I love oats and seeds and stuff and never had any problem with these. Yesterday, in the retrospective was a weird day for my stomach and guts, I ended up having a small bowl of hot soup in the evening and that helped. I will try today to have Jake for lunch nevertheless. You're welcome @Robert_Gebczynski. Just to be sure, are you aware of the fact that Jake is not gluten-free? I want to emphasise that it would be best to let your body first fully digest the meals of yesterday which caused the distress and to wait some days before you give Jake another go. This can also help rule out other possible causes. Hopefully it's not up to luck, but wishing you good luck nevertheless. Let us know how it went! Sorry to hear you were experiencing problems with Jake! How's it going now? I actually just started using Jake as well but didn't have any problems so far. I started off with Jake for breakfast on Saturday, then again on Sunday and on Monday and today I've had Jake for breakfast and lunch. I am planning to go completely Jake by tomorrow since I am feeling great actually. it is interesting what you describe. I have the same problem as you do, at least considered nausea and feeling sick. I am quite experienced with nutrition and my nutritional restrictions but so far I could not figure out what might cause the problem. Gradually build-up did not lead to an improvement and I eat super healthy in general. So far I am pretty frustrated with the product as I am kind of not feeling to continue consuming it. A friend of mine which I told about the product and inspired to order it himself does not experience my problem. Admittedly it feels a bit frustrating. Following up to my previous messages: I have been having Jake for a month now, usually once a day or rarely twice. What I have encountered with Jake is that ocassionaly it will give me some odd nausea. Unless you drink it for 2.5 hours. Also I am doing CrossFit and I am disturbed by the fact that since I started having Jake my strenght started gradually dropping. I would prefer Jake to have much more protein. 40gram of protein is not good, especially not for a adult man who is active during the day. 60 grams would be fine. I know Jake isn't supposed to be a protein drink but if it's supposed to provide all the required nutrients and all that stuff the protein intake should be much higher. I won't go for Jake Sport because - 1) the price of it scares me 2) the calorie intake is too high for me and I don't burn that much calories a day 3) the protein levels are too low. Also i started experimenting with the British HiProtein Milk to make up for the protein loss - first of all it makes it taste amazing! And I mean paradise for my pallet. Secondly it makes the protein level much higher. The 1 litre bottle has 50grams of protein so thats around the 60g I would expect from a meal. But i got away quite far from the bad effects. The have gone away, but if you don't drink it for two days - just because you had a weekend of normal cheat food - and then have it on Monday it will quite likely come back. Not sure why. ...but if you don't drink it for two days - just because you had a weekend of normal cheat food - and then have it on Monday it will quite likely come back. Not sure why. You mean: ...but if I don't drink it for two days - just because I had a weekend of normal cheat food..